Who’d have thought that tucked away in all of our bodies were some hidden little mechanisms that had the power to make us hungry, or in turn take away that hunger. Well believe it or not, they do exist, there are 2 of them and they are called hunger hormones. One of them which you have probably experienced at one time or another when your belly was grumbling increases our appetite, and makes us eat. While the other one works to primarily decrease our appetite. These hunger hormones are known as Ghrelin and Leptin and the majority of people have never even heard of these little bad boys. Ok let’s get on and give you a better understanding about your body’s hunger hormones and how they work within the body. Leptins function is to act as the appetite suppressor. This hormone is also believed to play a major role in a person’s energy balance. Some experts believe that leptin can also be responsible for regulating ghrelin hormones. It is leptin that sends signals to the brain to recognize that the body has enough immediate energy stores, or simply put, has eaten enough. Regrettably, some studies have shown that people who are obese have often become resistant to the signals of leptin, despite the fact that they have high amounts of leptin in their body. Normally, the more fats you have stored, the higher your leptin levels should be. But, some factors should be considered such as the last time you ate your food, as well as your sleeping patterns. Ghrelin is a hormone that increases your appetite. This hormone is released in the stomach and has the job of sending signals up to your brain to inform you that you are hungry. The body produces more ghrelin if a person is not eating enough. Therefore, skipping meals equals more ghrelin secretion. On the other hand, ghrelin in normal circumstances is reduced if the individual is eating too much. Studies have shown that levels of ghrelin increase in individuals who are suffering from anorexia nervosa. Conversely, ghrelin levels also decrease in obese children. According to a study conducted in Germany, ghrelin may play a huge role in determining the length of time that “hunger” will be felt by a person. In normal circumstances, ghrelin levels dramatically increase when a person is hungry and eventually subside after having a meal. Researchers also discovered that the role of ghrelin is not only limited to increasing appetite. It also has the complex task of regulating an individual’s body weight. A study which was carried out by David Cummings, M.D. from the University of Washington revealed how macronutrients influence the ups and downs of one’s appetite. During this study, experts found that proteins have the highest influence with regard to suppressing a person’s appetite. Fats it seems were found to only have a neutral effect on an individual’s appetite. It was also revealed that although carbohydrates initially reduce one’s appetite, they will later increase an individual’s appetite to levels higher than before the carbohydrates were introduced into the body. So if losing a bit of weight is one of your goals, a good place to start is to eat more proteins and less carbs, especially those sugar-rich, high GI carbs. If at some point you find that your hormone levels have slipped out of sync, chances are so too has your metabolism. Because as your leptin levels increase so too does your metabolic rate. The more fat you have in your body, the more leptin is secreted, as the fat cells are responsible for secreting leptin. Your body is clever enough to know that there is enough fat to survive and your leptin is letting your brain know! 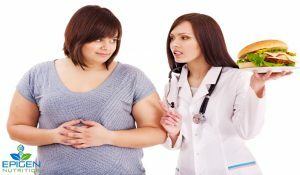 Unfortunately, obese individuals can develop a resistance to leptin over time, which can be problematic, especially when it comes to getting your metabolism in balance. In a properly functioning system, leptin signals to the thyroid that there is enough fat stored in the body so you can work on burning it off as opposed to piling it up in excess. People who suffer from leptin resistance may feel as though they are ravenous and starving more often than not. This commonly happens when you are following a diet that is excessively restrictive and not eating enough to adequately satisfy your body’s needs. Once this cycle starts, fewer calories are burned and fat storage is increased. Since you do not feel satisfied your appetite will increase and this is when the excess eating starts. Then it starts to get harder and harder to shift those excess pounds. This is why you may have sometimes heard people say my metabolism is slow, or my thyroid makes me fat. 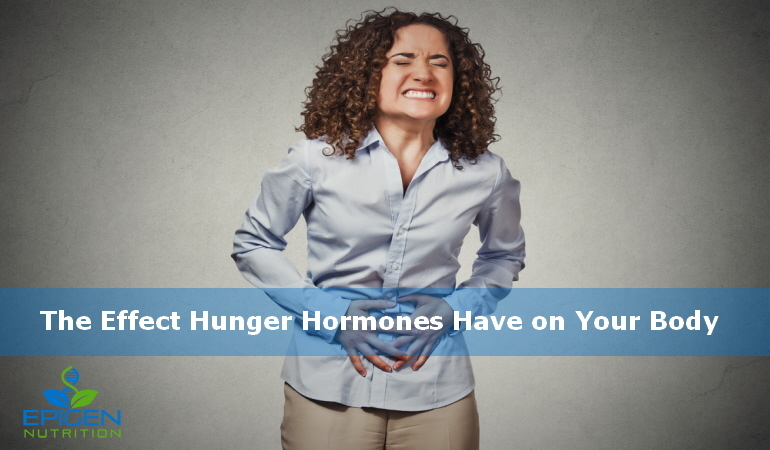 On the other hand we have another hormone that affects your metabolism that has been affectionately nicknamed the “Ghrelin Gremlin” as it is the hormone that makes us feel hungry and causes our appetite to increase. This hormone is produced in your stomach and signals the brain to drink and eat when your belly is empty. What is interesting to note, is that studies show that your ghrelin levels become elevated when you are sleep deprived, which is why after a few sleepless nights you often feel hungrier. If you have been putting on a little extra timber for a while, now is definitely time to develop a little positive self-control. Ramping up your physical activity levels will help to stabilize your hormones as well as help you to burn off some of those excess calories. You may find that it won’t be easy to start with and may require some huge lifestyle changes to bring you to this new level of healthy, balanced hormones. But soon enough, these changes will manifest into some form of normal routine. Getting into the habit of eating more healthy foods on a consistent basis is the best thing you can do to increase your metabolism. Studies have been carried out that confirm when you skip breakfast; rich, high-calorie foods are more appealing due to the powers of ghrelin. So unless you are following a restricted eating plan, like intermittent fasting, you should try to make sure you are not avoiding that first meal of the day. There is also a psychological effect happening where we often feel we should give ourselves a treat and it will be okay to munch on something even though it is fattening. This is down to not having consumed any calories for quite some time because of skipping meals. This can be a danger zone, since our metabolism can become severely disrupted when we regularly go into “fasting” states brought on by eating irregular unhealthy meals or snacks. Over time, this causes our metabolism to become sluggish and slow down altogether. It may lead to a bit of confusion in saying to eat more so to weigh less. But, if you are eating nutritious, protein rich foods, on a frequent basis, you will kick-start your metabolism into high gear, be able to successfully burn calories, have more energy overall and come out the other end seeing positive results. So now is the time to start getting active and eating more healthily, so your metabolism is able to understand what your hunger hormones are trying to tell it. Ok so we have found out that it is actually our hunger hormones that are mainly responsible for our food cravings. These hormones are the messengers of the body and between them play different roles. The main way to satisfy the ghrelin hormone is to keep your stomach full of “preferably” healthy foods, which in turn, will suppress your appetite. 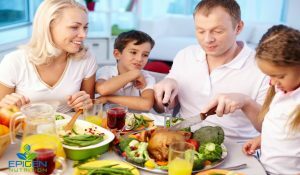 Missing meals, unless as I mentioned earlier you are on a planned fasting, is actually the worst thing you can do, as it can cause your cravings to become unbearable, which usually results in a bad-food binge. This is why sudden crash diets and slimming gimmicks often cause rebounding weight gain. If a person makes the correct food choices, they can easily remain full and reduce their calorie intake by a good 500 calories a day. Over a year, this would come out at around 50 lbs. of weight loss. 500 calories is equivalent to cutting out roughly one cheeseburger with sauces or just over 3 oz. of potato chips in one day. Wheat bran is an insoluble fiber that your body cannot digest. In a nutshell what this actually means is that it contains zero calories. It is great for making you feel full and then passing straight through you. If you take 1 to 2 TBS of bran with a large glass of water, you should be able to stop the release of the ghrelin hormone for round about an hour. The bran acts like a sponge in your stomach and absorbs water. Make sure you drink plenty of fluids or you could easily find yourself becoming dehydrated. If you have any sensitivity to wheat, you could switch to rice bran instead. We’ve all heard the saying, well an apple a day truly can keep the doctor away. There is pectin contained in apples and this prevents blood sugar spikes which can lead to increased fat storage. This soluble fibre found in this fruit helps people feel full while also reducing the amount of calories and sugar that is absorbed into the bloodstream after eating it. These are just some of reasons why apples can become a dieters’ best friend. For those who wish to prevent Type 2 Diabetes, apples can also be a wise choice. Consuming an apple will help you to avoid the common blood sugar crash that more often than not leaves you craving more and more to eat. 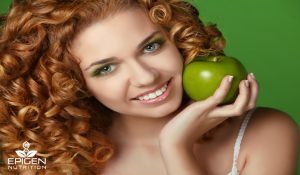 Amazingly, apple pectin can keep you satisfied for anything from one to two hours. Some people find the best results by consuming an apple prior to eating a meal or going out for supper, while others prefer to eat one soon after their meal or as a dessert substitute. Whichever way you decide on, apple pectin will help you to fill up longer and faster. It can be an excellent snack choice for between meals since it helps to keep your blood sugar balanced. You can also add apple pectin powder to your shakes, oatmeal and yogurt. Green tea has long been known for its weight loss benefits. There is an exceptional phytonutrient called epigallocatechin gallate or EGCG found in Green Tea. This substance increases another hormone which is responsible for creating the feeling of fullness, so your ghrelin is quietened. Feeling full between meals is a great help in winning the battle of potential weight gain. Another benefit is that EGCG activates thermogenesis, which stimulates your metabolism, so that your cells are burning fat and energy. Some other foods that you can experiment with to help keep you feeling fuller longer include avocado, almonds, oatmeal, pine nuts and green leafy vegetables. Next articleIs Your Food Causing Irritable Bowel Syndrome (IBS)?